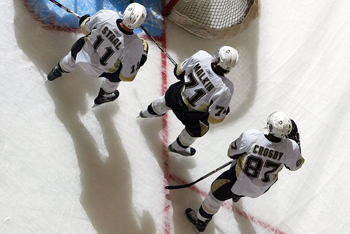 Is Sidney Crosby ready to play again after missing more than half the season last year? 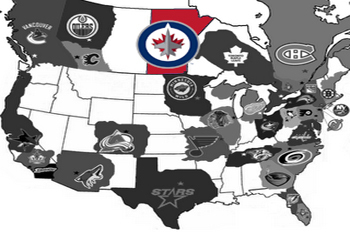 Guess who’s the most popular team in the NHL this year? And who’s this year’s pretty boy that has all the girls flocking to the ice rink in Carolina? 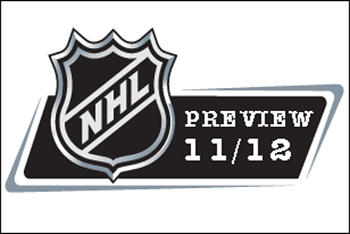 Kidzworld has all the answers in this year’s 2011-12 NHL hockey preview! Sid the Kid is back in action... finally. Poor Sidney was leveled in the head and suffered a 3rd degree concussion last season when Washington Capital power forward David Steckel bulldozed right over him. Sid was on pace to win the scoring title and another Stanley Cup, but now it might be tough to recover from seeing stars all the time. Please keep your head up Sidney! Hockey is boring without you. There is a small little city in the middle of Canada called Winnipeg and they used to have a hockey team in the NHL back in the 80s and early 90s. Well they’re back and they’re more popular than ever. The Winnipeg Jet Fans are so hungry for hockey that their hockey rink was sold out for their practices. But I’m not sure if this means hockey is really popular or the people are just really bored. I mean watching a practice... really? Well I guess it beats catching grasshoppers and gophers. Jeff Skinner is the NHL’s pretty boy and teenagers are flocking to watch him play like Justin Bieber riding a moped. Jeff won the Calder Trophy (Rookie of the Year) last year, and the Carolina Hurricanes are moving him into the top line and on the power play this year. The Boston Bruins dominated the playoffs last year and they probably will be just as big of a force this year. Most of the same players are returning except for Boston’s Michael Ryder who dropped the Stanley Cup and put a big dent in it. Shortly thereafter, Michael was moved to the Dallas Stars... a team that will probably go bankrupt after this year. Whoops! Keep two hands on the Cup at all times Michael! So, are you excited for the NHL? Who do you think will win the Stanley Cup this year? Have your say in the comments below!